"I'll take Alaska for one thousand, Alex," said the Jeopardy contestant. "The Alaska native shown here produces qiviut, a fiber eight times warmer than wool and extraordinarily lightweight," responded Mr. Trebek. Silence. 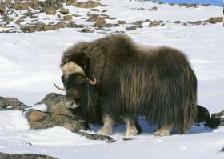 After the familiar "beep-beep" indicating time's up, Alex answered, "The Musk Ox. My favorite animal." Too bad none of the players were knitters, because while I can't claim the musk ox is my favorite animal, I can easily claim qiviut is my favorite yarn. And therefore know exactly what a musk ox looks like. I feel in love with qiviut several years ago during a trip to Alaska. In downtown Anchorage it was impossible to miss the Little Brown House with the musk-ox mural that houses the Oomingmak Musk Ox Producers' Co-operative. Over an hour later, my husband had to drag me kicking and screaming from the store. I had become quite attached to several skeins of the expensive yarn, but cashing in our plane tickets home would have been required. After parting with just one two ounce skein, I vowed to research other animal fibers. Perhaps other similarly luxurious yarns existed? Not many people purposely plan their vacations near Cashmere goat farms, but that is exactly what I did. I approached the Massachusetts' farm with dreams of knitting a buttery soft sweater and having a great story to go with it. It doesn't come any softer than cashmere. Only a few ounces can be obtained from the undercoat of each goat, which is why the fiber is so expensive. But all I had to do was touch the 100% cashmere yarn and I was sold. Thank goodness the farm accepted American Express -- I went home with everything but a goat. 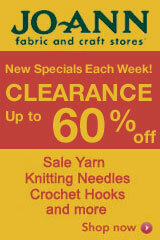 I am continually on the lookout for new fibers. The modern synthetic yarns are amazing, but there is something satisfying about knitting with 100% natural yarns. They may be susceptible to moth attacks and tricky to wash, but the extra care is well worth it. Now I just have to convince my husband that we should adopt a musk ox, alpaca, and cashmere goat. After seeing our American Express bill, he may be open to the idea.